November | 2013 | Arthur in the Garden. 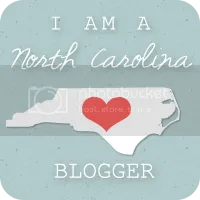 A cold front has swept across the country and arrived in central North Carolina just as we began our Thanksgiving holiday. No gardening today! Sounds like a good day to cook! 1 Coat the the bottom of a large, thick-bottomed stock pot with oil and warm on medium heat. Add a teaspoon of butter to the olive oil. 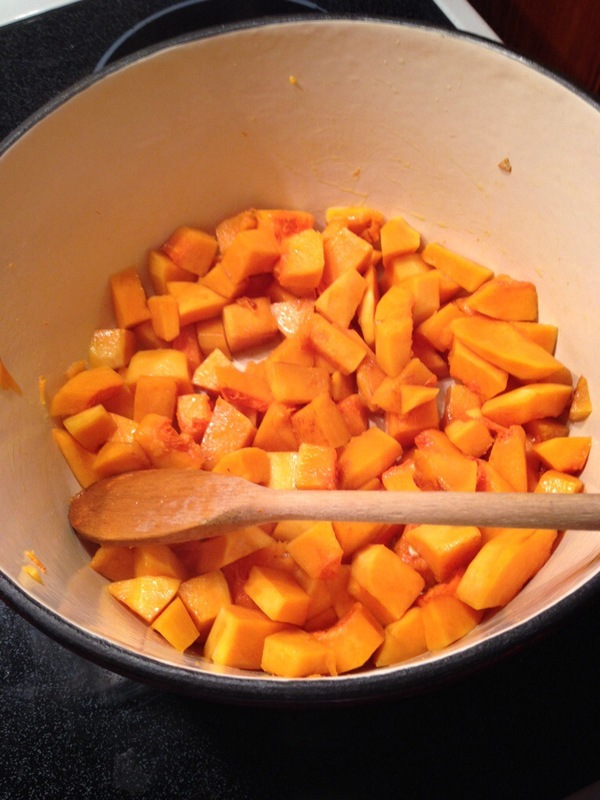 Add the cubed butternut squash to the pan. Toss to coat all sides with oil. Sprinkle a little salt over the squash. Then spread out in an even layer and let cook, stirring only occasionally, so that the edges and sides get lightly browned. You may need to adjust the heat up to ensure browning, or down to prevent burning or drying out. 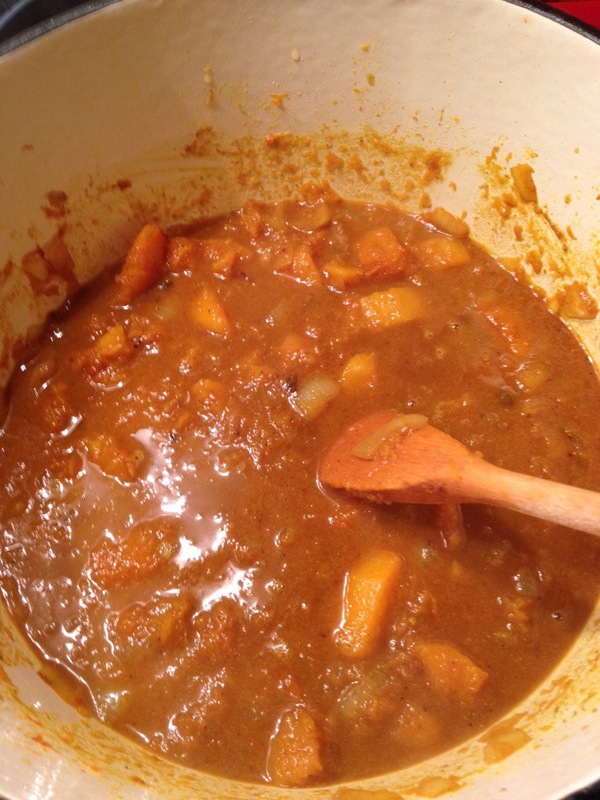 Once it has browned remove the squash from pan and set aside. 2 Heat another tablespoon of olive oil in the pot, on medium heat. Add the chopped onions and cook, stirring now and then, until softened. 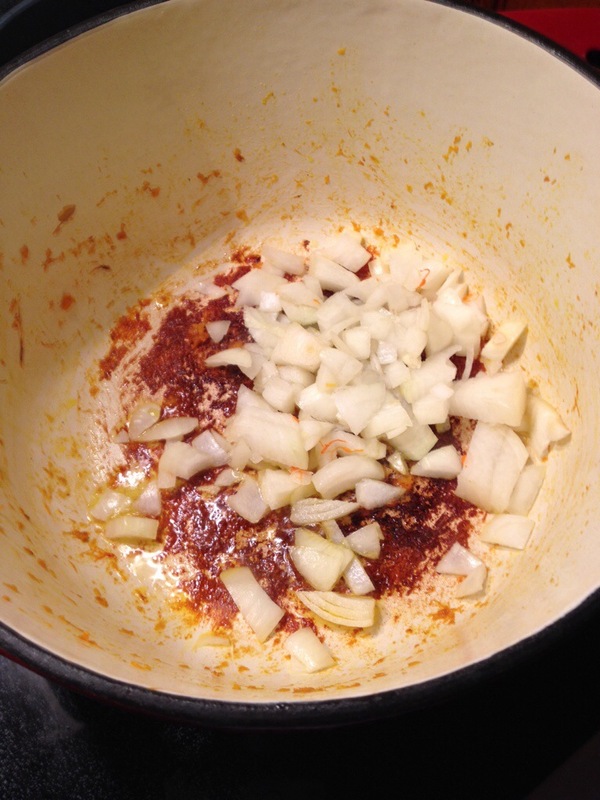 Add the curry powder, mustard seeds, cumin, and fresh ginger, and cook for a minute or so longer. Use a flat bottomed wooden or metal spatula to scrape up any browned bits. 3 Return the butternut squash to the pot. Add the chicken stock and a teaspoon of salt. Increase the heat to bring to a simmer, then lower the heat to maintain a low simmer, cover the pot. Cook for 40 minutes until squash is completely tender. 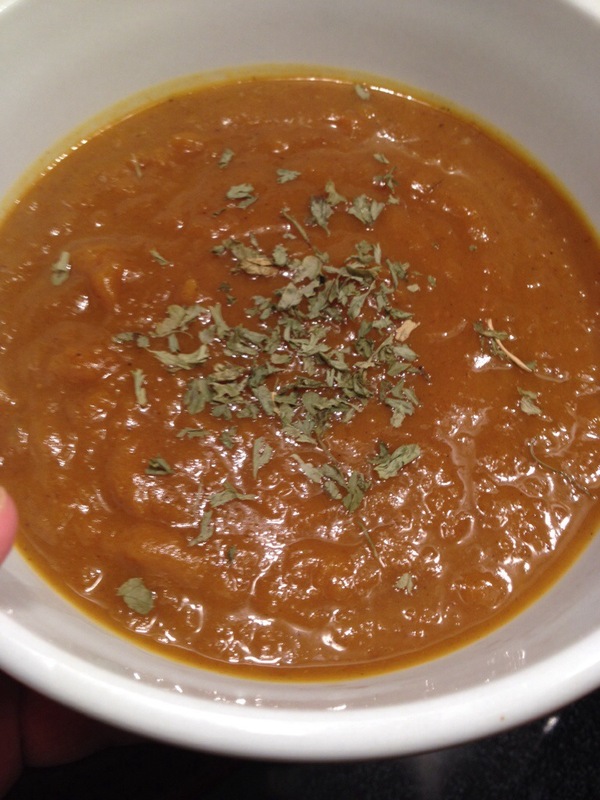 Use an immersion blender (or a stand up blender – work in batches) to blend the soup smooth. Add more salt to taste if needed. You can serve it in individual bowls with a tablespoon of sour cream. I Only topped it with some dried parsley. A few Fall beauties in the garden. 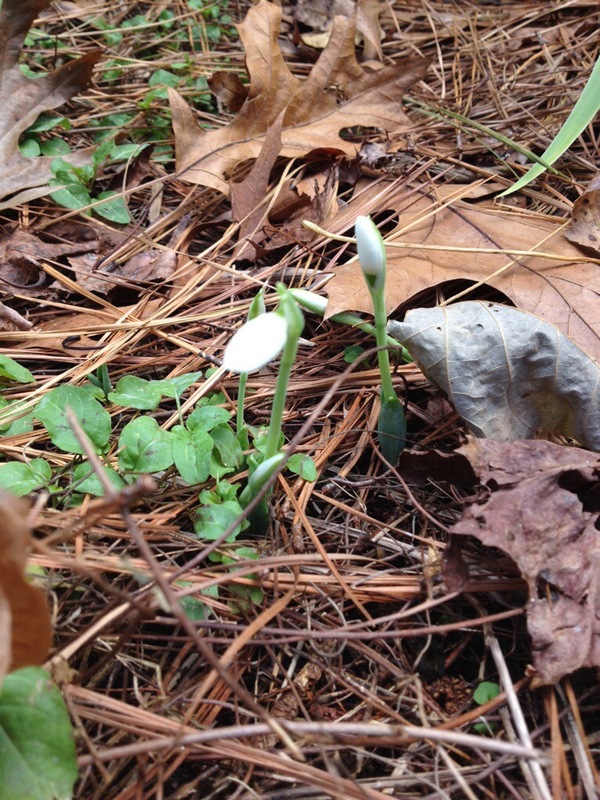 There are a few plants who refuse to take their winter. 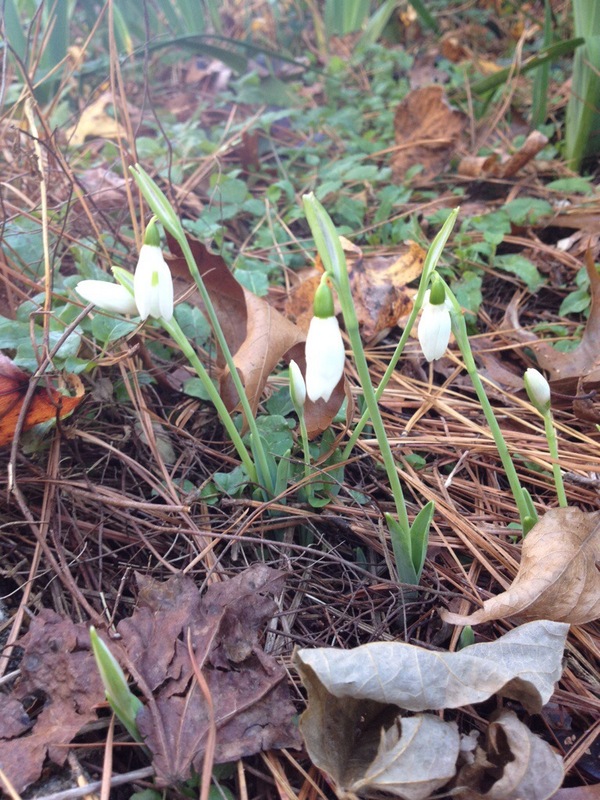 The Snowdrops (galanthus) below appear just after the last frost. They are suppose to bloom in the Spring but they, along with some Paper White narcissus, bloom every Fall at this time. 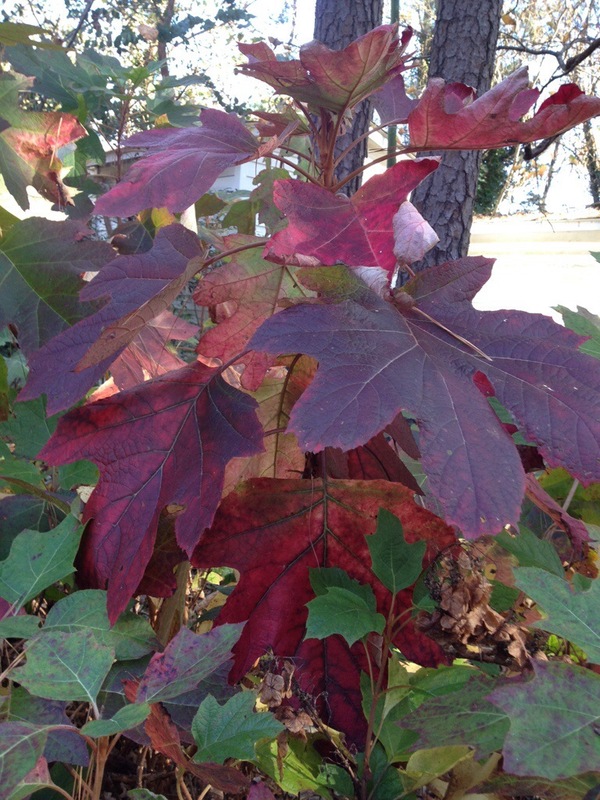 The large oak-leaf shaped leaves of Oak-Leaf hydrangea become varying shades of red. This plant is about 7 feet tall and 9 feet wide. 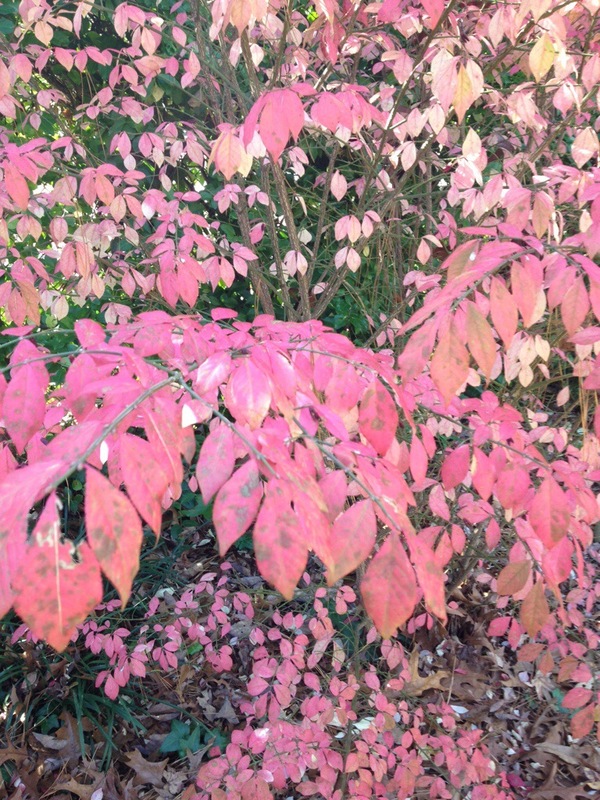 The leaves of Burning Bush euonymus fade from green to red and then pink before finally falling. The nandinas which line the fence are loaded with very shiny berries. 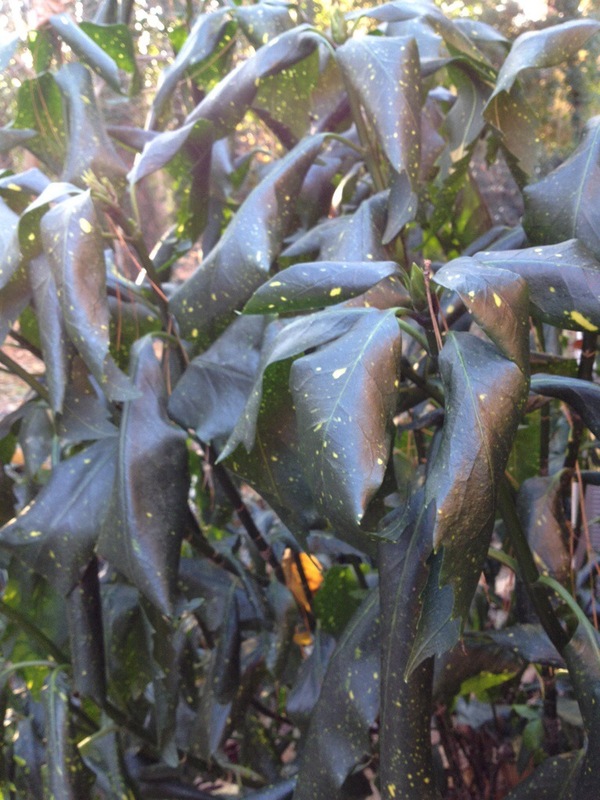 In the Spring, the white flower spike point upwards but the heavy fruit pulls them down by Fall. They volunteer all over the garden. 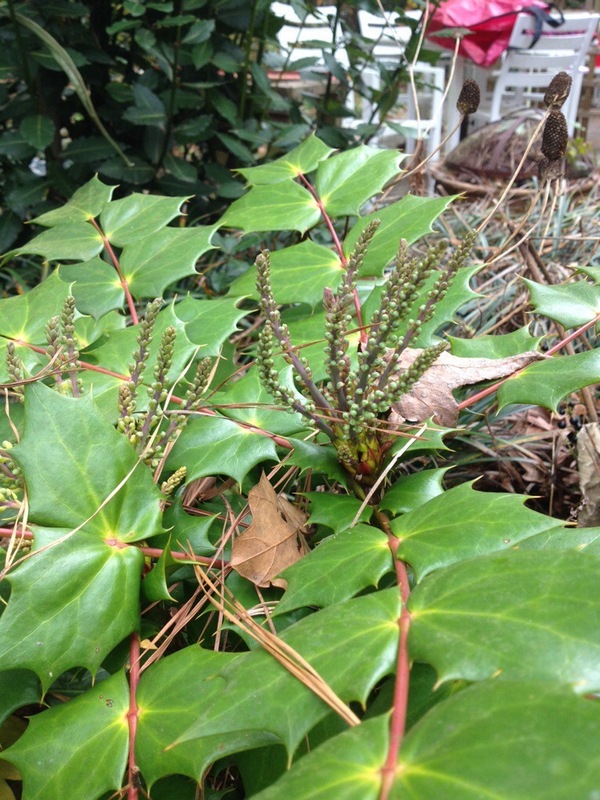 And the mahonias are budding. 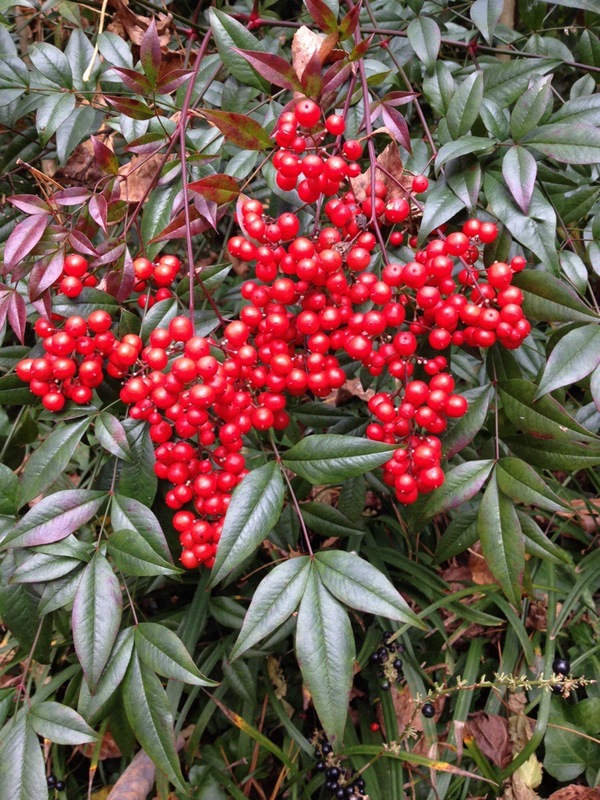 The yellow blooms are a treat by Christmas and are followed by blue berries. 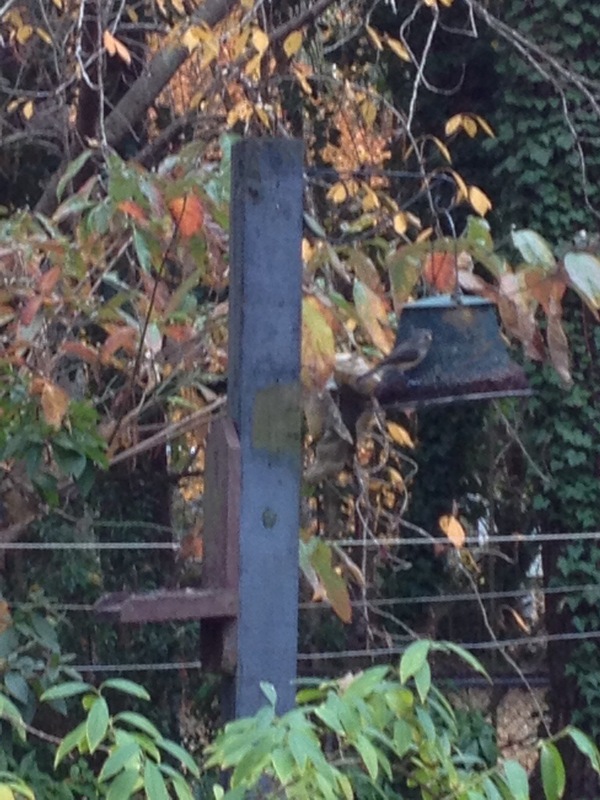 The birds are enjoying the easy meals at the feeders. This tufted titmouse loves the sunflower seeds. 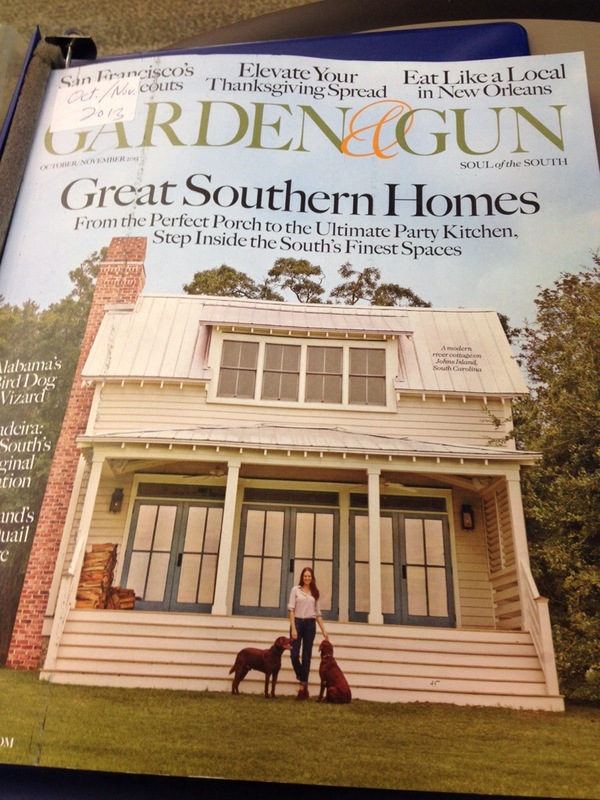 Only in The South do we have a magazine titled “Garden & Gun”! 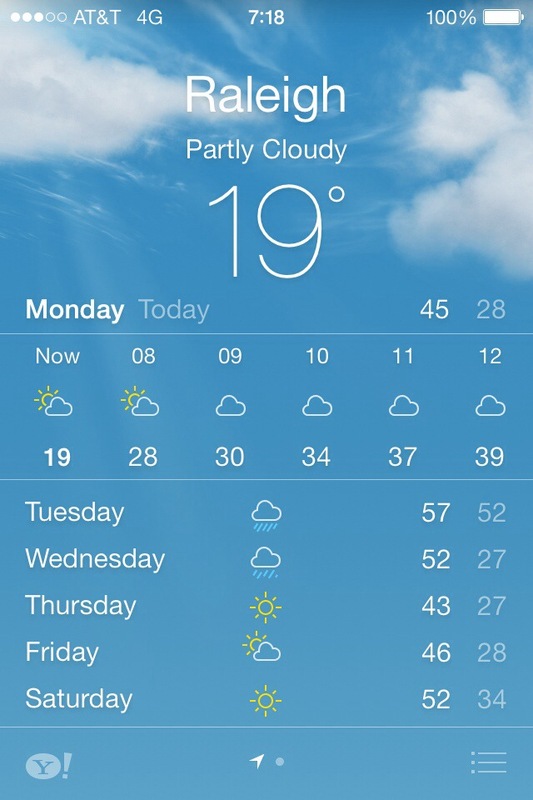 It was almost 70f yesterday but we are predicted to have another nighttime frost Sunday night. 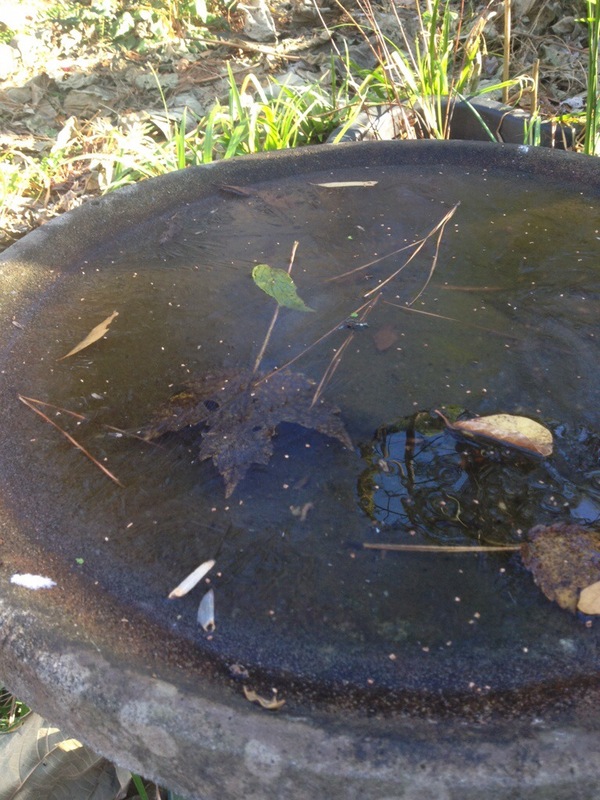 The predicted lows in the 20s f should put the remaining plants down for a Winter rest. There are always a few stragglers who refuse to take a Winter nap!